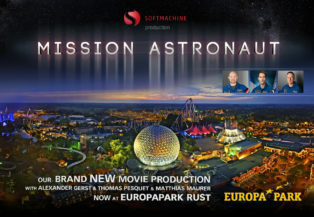 Fulldome movies in Entertainment-Parks - Dome of Dreams plays 'Mission Astronaut' produced by SOFTMACHINE. Reef Distribution is happy to announce another award for "The Secrets of Gravity", a character based entertainment education film. 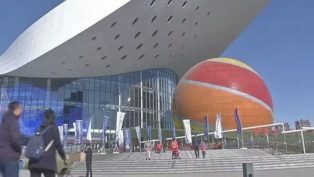 I want to receive fulldome production tips, updates on the latest fulldome technologies, promotions and news from the fulldome world. 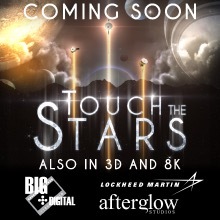 This feature will be available soon!!! px, JPG, Max size MB) Use a picture. It’s worth a thousand words. It’s an easy way to draw visitors’ attention to your Article. The featured image will tell visitors what your content is about before they read anything. Be aware of cropping: One way to ensure your image looks okay if it gets cropped is to pick one that puts the subject of the photo at the center. Upload a vertical version of the show poster. The suggested resolution is (width x height) 700 x 1.000 pixels, JPG format. Upload a squared logo of your Organization. The suggested resolution is (width x height) 700 x 700 pixels, JPG format. Upload a squared logo of your Event. The suggested resolution is (width x height) 700 x 700 pixels, JPG format.